Have you ever heard the old adage, “If it sounds too good to be true, it probably is”? Well, this is a pretty good rule of thumb — but lucky for us, it’s not always correct. Some things gain a reputation for their amazing qualities because they truly are that amazing — and this is exactly the case with organic Argan Oil. Organic Argan Oil is one of those wonder oils that’s gotten plenty of buzz, and with good reason. It carries benefits that vary all the way from skin care to overall wellness. But not many people know exactly what it is, let alone its benefits and how to use it. So in this post, we’re going to go in-depth and behind the scenes with this powerhouse oil — starting with the very basics. Let’s first take a peek at where Argan Oil comes from. This unique substance is pressed from the nuts of Argan trees in Morocco. This area is, in fact, the only place where these types of trees are found in nature, which makes this oil extremely precious and rare. But Argan Oil is considered precious not only because of its limited supply — it’s also prized for all the nutrients it contains. Organic Argan Oil contains all kinds of fats and vitamins that are essential to maintaining health, preventing diseases, and even healing and repairing skin problems. It specifically contains vitamins A, C, and E in high quantities, along with a plethora of antioxidants, omega-6 fatty acids, and linoleic acid. These nutrients are what give Argan Oil its natural, powerful abilities, which we’re going to look at next. Since there are so many uses for Argan Oil, we’re going to break them all down into three main categories: hair, skin, and health. Ready? Prepare to be amazed! The many fats and vitamins in Argan Oil make it incredibly useful for giving your hair a boost. Here are just a few of the ways to use organic argan oil for hair. Whether you’re a man or a woman, hair loss can be a scary and even emotionally devastating problem. If you notice excess hair loss beginning to occur, it may be time to invest in some Argan Oil. The high nutrient content in argan oil has been shown to help stimulate follicle production, to help more hair grow, and speed up the process. So even if you’re just looking to grow your hair out for the winter, Argan Oil can help you gain more luxurious locks in short order. How to use: To take advantage of Argan oil’s benefits for hair loss, simply give yourself a little scalp massage with it three times a week. Pour a small amount (go easy — just a few drops should do it!) into your hand, and use your fingertips to massage the oil into your scalp in a circular motion. If you want to enhance your results add one or more of our favorite essential oils for hair growth. Who doesn’t love a good sheen to their hair? Argan Oil is so deeply nourishing and moisturizing that it can bring on an incredible shine that is completely irresistible, and the texture of the oil even helps tame frizz and flyaways so you can maintain the perfect hairstyle. This is one of my favorite ways to use organic argan oil for hair. Argan Oil through your hair after washing. Then style your hair as usual and enjoy your enhanced shine! Organic Argan Oil’s benefits for hair extend way beyond the external. Since this oil is deeply moisturizing, it makes the perfect hair conditioner to help improve the texture of your hair and prevent damage. How to use: Add a few drops to your hair after washing, and work it through from the roots to the ends. Leave in and towel dry, then style as usual. Heal split ends and brittleness. Because of it’s moisturizing effects and high nutrient content, it is ideal for helping with brittle hair and split ends. Argan Oil coats the hair to help strengthen and repair it, and can even help seal in moisture and color if your hair is treated. If you’re starting to notice lots of breakage in your hair or you need to extend the life of your hair color, then Argan Oil is the way to go. How to use: Massage a few drops of organic Argan Oil into your scalp immediately after washing, working from the roots down to the ends. Leave in and enjoy your no-frizz, no-breakage locks. Argan oil has long been used for its incredible skin care benefits, as its nutrients can help repair or renew just about any type of complexion. Read on to see the awesome benefits for skin. Get relief from eczema and other dermatitis. Eczema is a chronic issue for many people, and not a fun one at that. It’s itchy, unsightly, and just generally annoying — and it can be really hard to keep it under control. Organic Argan Oil is the perfect remedy for skin problems like eczema and other types of dermatitis, as it helps moisturize to relieve the itching and it rebuilds the skin’s natural oil barriers to prevent future flare-ups. How to use: Apply a few drops of Argan Oil at the site of the rash twice a day. Massage gently into the skin and let the vitamins and fats do their work! To enhance your results, add one or more of our favorite essential oils for eczema. Acne is another one of those chronic and severely annoying skin issues — and it’s a very common one. Argan Oil’s benefits for acne can be found in its ability to moisturize and nourish the skin while reducing oil production. It’s also of great use in healing up acne scarring, which can be difficult to fade, especially when you’ve had bouts of severe acne. How to use: Massage the oil into clean, dry skin gently. Do this twice daily to reduce acne and fade scars. For extra support for acne prone skin, add one of our favorite essential oils for acne. Is your complexion starting to show its age? Argan Oil can help! Because of its heavy concentration of fats and linoleic acid, it is an awesome anti-ager that helps reduce wrinkles and restore a youthful glow to your skin. How to use: Massage a few drops of organic Argan Oil into clean, dry skin each night before bed. Apply both to your face and your neck to get the most benefit from application. To enhance anti-aging results, add a drop of Frankincense essential oil to the Argan oil to reduce the appearance of fine lines and wrinkles and to fade age spots. It’s one of the things pregnant moms dread most — stretch marks! While they’re harmless, they can certainly be a nuisance and they’re very common during pregnancy when your body is changing rapidly. Since Argan Oil is high in Vitamin E, which helps boost your skin’s elasticity, this oil is perfect for making skin more supple to prevent those pesky stretch marks. How to use: Apply a few drops of it to thighs, stomach, breasts, or any desired area during pregnancy. Argan Oil has a high level of antioxidants, and has additional unique qualities that give it UV-fighting properties. This means that it’s a great protection from sun radiation, helping to prevent sun damage and other negative effects that we so often see from excessive sun exposure. How to use: Add a drop of organic Argan oil to your daily moisture in the morning. Use a moisturizer with SPF already built in, like Eminence Organic’s Bright Skin Moisturizer, and then mix in a small amount of argan oil as another layer of nourishment and protection. It may seem obvious at this point since we’ve already brought up so many or organic Argan oil’s skin benefits, but we think it’s worth stating: this oil is an especially effective general skin moisturizer. Whether you’re dealing with cold-weather dryness or just want some extra softness to your skin, Argan Oil will nourish, moisturize, and help your body retain its natural oil barriers to keep your skin healthy and protected. This is one of my favorite ways to use organic argan oil for skin. How to use: Simply massage a few drops of it into the affected dry areas, or anywhere you want to heal or prevent dry skin. I have also used argan oil as a facial oil during the fall and winter to keep my skin hydrated and smooth. Many people struggle with brittle nails that break at the most inopportune times. And let’s be real, a snagged or broken nail can be super annoying! Argan Oil’s vitamin E and other moisturizing elements give your nails some extra attention and help them to grow healthy and strong. How to use: Rub a few drops of it into your cuticles nightly. If it’s starting to look like organic Argan Oil benefits are only for skin and hair, the truth is this oil’s advantages extend well beyond cosmetic uses. Argan Oil is a fantastic health booster and can ease and prevent a number of common (and not-so-common!) issues. Let’s take a look. Argan oil’s high concentration of healthy fatty acids make it an incredibly heart-healthy superfood. It’s been shown to reduce cholesterol levels and blood pressure to help you maintain an all-around healthy heart and circulation. How to use: Use organic Argan Oil (culinary grade) to cook food, or incorporate into salad dressings, soups, and other foods for a delicious way to reduce your risk of heart disease. Because this oil has unique anti-inflammatory properties, it is, surprisingly enough, a useful remedy for alleviating pain and swelling associated with arthritis and other rheumatoid conditions. How to use: Organic Argan Oil can be taken internally or externally to treat arthritis. For internal use, incorporate culinary grade Argan Oil into your regular meals. For external support of aching joints or muscles, massage a few drops into the affected areas once or twice daily. Argan Oil is truly a versatile substance — as if all these health benefits we’ve listed so far weren’t enough, it also contains compounds that help your body digest more thoroughly and efficiently. This leads to increased energy and weight loss, along with just feeling better all around! How to use: For a boost in your body’s digestive processes, incorporate culinary grade Argan Oil (organic preferred) into your cooking or regular meals. Boost antioxidants and support cellular health. Organic Argan Oil contains a number of antioxidants, which are known to fight free radicals which damage cells. Cellular health is the cornerstone of wellness. Most chronic conditions and disease start with inflammation at the cellular level, so getting support in this area is essential. How to use: To use Argan Oil for cellular health and antioxidant support, incorporate it into your daily cooking or simply ingest 1 tablespoonful per day. You can also purchase Argan Oil in capsules if you prefer to take it in this form. When you’re finally ready to purchase this fine oil, no doubt you want the best on the market. Well, there are a few considerations to have in hand before you make your purchase, so you can be sure you’re getting the best in terms of both quality and purpose. First, bear in mind that authentic, non-diluted Argan Oil can be moderately expensive because of its rarity. So if you’re finding what claims to be Argan Oil online but it’s suspiciously cheap, it’s best to stay clear. Additionally, authentic, organic Argan Oil should come in a dark-colored glass bottle. This helps protect the natural properties of the oil, which can deteriorate over time if the oil is stored in a plastic bottle. So take a look at the packaging of your Argan Oil and select one that is in a dark, glass bottle. Another aspect you’ll want to examine is the label. Organic Argan Oil should contain just that – Argan Oil. Nothing else. Not a thing. No preservatives, no additives, no diluting agents. If your label’s ingredient list says “100% Argan Oil” and nothing else, you’re good to go. The other thing to look for is USDA certification. If it’s labeled as organic argan oil then there should be a USDA organic seal to verify this. 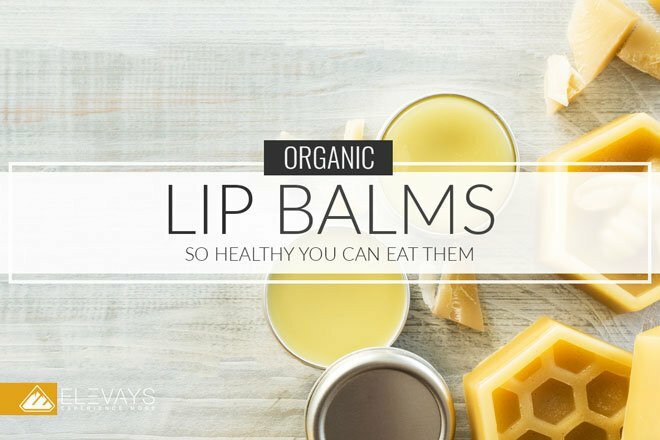 If not, you can’t really be sure that it’s organic. And finally, one more thing think about as you’re choosing an organic Argan Oil. Ask yourself how you will mainly be using your Argan Oil: will it be for your skin or hair, or will you be ingesting it? This is critical in your choice, as there are two different types of oil that you can purchase depending on how you plan to use it. If you’ll be using your Argan Oil to cook or simply to ingest a spoonful each day, you’ll need a culinary grade Argan Oil that’s intended for eating. This type of Argan Oil is generally pressed from roasted Argan nuts, and has a roasted, nutty smell that is quite appetizing. Most people say if you sniff it and it smells like something you’d want to eat, you’ve got culinary grade Argan Oil. Now, the nice thing about culinary grade organic Argan Oil is you can use it in place of any oil you would typically use. This infuses your foods with a healthy dose of vitamins, antioxidants, and healthy fats, of course with the added bonus of it tasting rich and delicious! While the smoke point of argan oil is pretty high (at 420 F) heating the oil too much can alter its taste and possibly destroy some of the nutritive properties. So there’s the one type of Argan Oil — what about the other? The second form of organic Argan Oil is called cosmetic Argan Oil. The only difference between this and culinary grade Argan Oil is that cosmetic oil doesn’t go through the toasting process before it’s pressed. This means it keeps all its skin-beneficial properties intact so it can provide better results for your complexion. Cosmetic Argan Oil will smell different than culinary grade, with a more toned-down aroma (but still nutty). This is the form you don’t want to eat, but rather apply to your skin or hair to reap the full Argan Oil benefits. As always, experiment with your liquid gold and see the effects it has! Many people use Argan Oil for a variety of issues or preventative reasons, so think about trying both ingestion and direct application and see how it boosts your health. 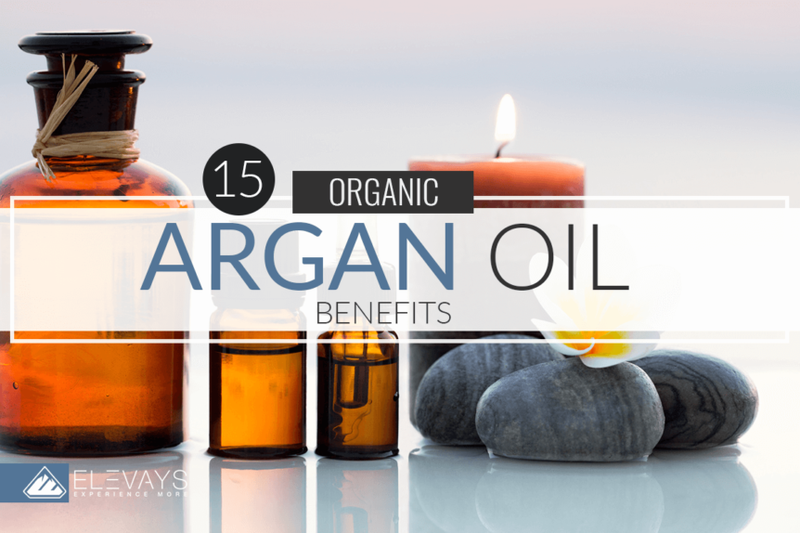 With so many amazing benefits, once you start using organic Argan Oil it will be hard to imagine your life without it! Do you use organic Argan Oil for any of the issues we discussed here? What types of results have you seen? Sound off below and tell your story! Thanks so much for these informative and relevant articles! We’re so glad you’ve found them helpful!